All images are copyright by Simon Aiken and are used with permission. In the composite presentation immediately below the individual shell images are scaled for uniformity. 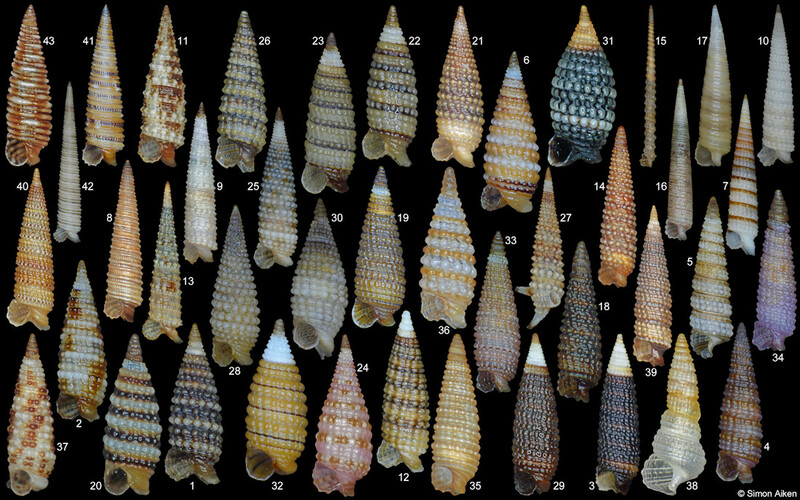 Click on the number accompanying the illustrated shell for full identification (if known), additional images/views and locality data. 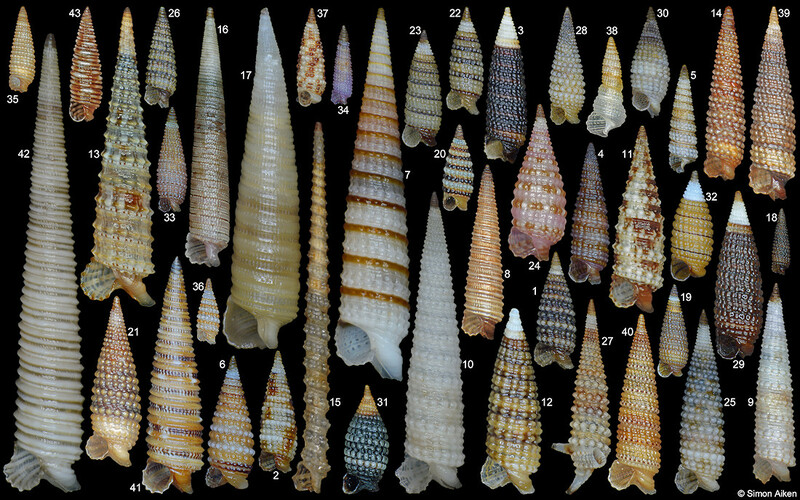 In the composite presentation immediately below, not linked to individual species pages, the shells are shown in proportion.